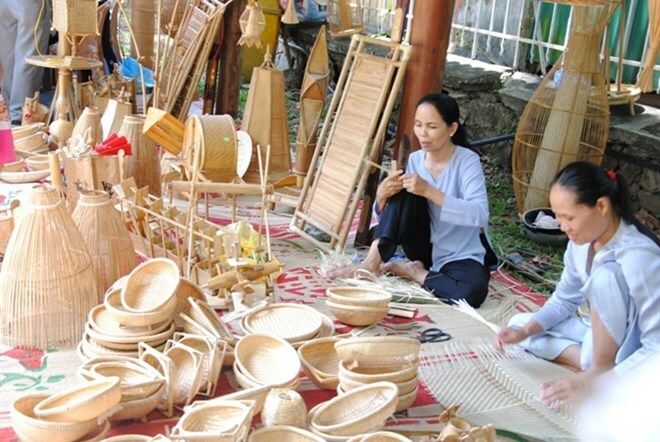 Thua Thien-Hue (VNA) – More than 350 artisans and 62 craft production facilities and villages, both domestic and international, have registered to participate in the Hue Traditional Craft Festival, which is scheduled to take place from April 26 till May 2, the festival’s organiser said. Artisans will come from such countries as Japan, the Republic of Korea (RoK), Turkey, Brazil, and China, he added. Festival goers will have a chance to enjoy a special performance by famous RoK artists like SinB, Tae Kyu Yun, and Rae Joon, as well as music by the band Vitamin Angel. The festival, in its eighth version, aims to honour the quintessence of traditional crafts, improve production and business efficiency of traditional craft villages, enhance cooperation across spheres, spur socio-economic growth, and combine handicrafts with tourism development, Thanh said.